See this article to understand Store shipping rate Lists. See this article to know how to create a shipping rate lists. 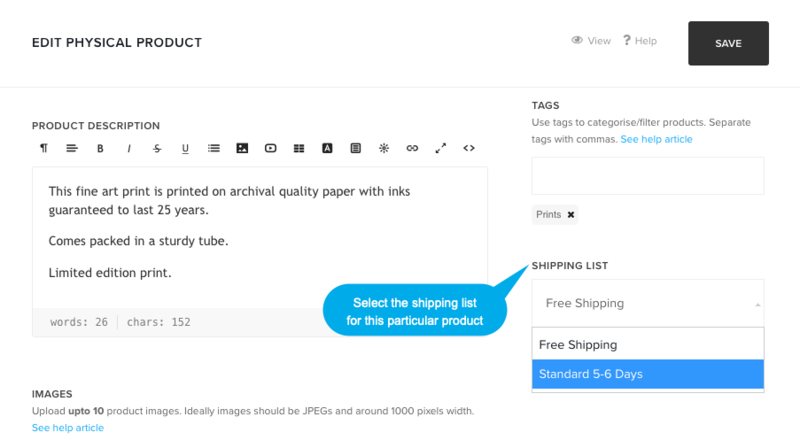 On the product edit page, you would see the shipping option on right side. Select the shipping rate list that you want to apply on the product from the dropdown. That’s it. Now this product will pick up its shipping rates from the assigned shipping rate list. Note: Any changes you make to a Shipping List will automatically apply to all products that have that shipping rate list applied to them.